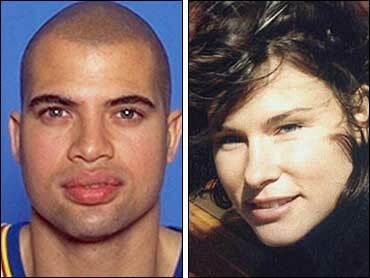 Investigators wearing masks searched the boat of former NBA player Bison Dele after authorities on this South Pacific island opened a murder investigation into his disappearance. Dressed in white head-to-toe suits, a team of investigators boarded Dele's 55-foot catamaran on Monday, more than two months after Dele, his girlfriend and the skipper of the vessel disappeared. Earlier, prosecutor Michel Marotte opened a judicial investigation for murder. Dele's older brother, Miles Dabord, is under investigation in connection with the disappearances. Police and the FBI are searching for him. The Los Angeles Times quoted a French Polynesian police official as saying that that the decision to open a murder probe was based on information from Erica Weise, a former girlfriend of Dele's older brother. According to Weise, Dabord blamed his brother for starting the fight. A team of 13 FBI agents was to assist authorities in the investigation in this French territory. A search of the boat had been delayed until the investigative team was in place. Officials refused to comment on the results of the approximately 90-minute search by at least five investigators, described as police technicians specialized in criminal inquiries. They were seen boarding the "Hakuna Matata" and taking photographs on the bridge before forcing open a door to probe the interior of the vessel. The group was accompanied by investigating judge Jean-Bernard Taliercio, who was assigned to lead the inquiry. It was not clear whether any FBI agents were among the investigators present or whether further searches would be made. The "Hakuna Matata," was found docked at the east coast port of Taravao on Thursday, a day before the FBI issued an arrest warrant for Dele's brother. The catamaran's name had been removed and it was registered under a new name, "Aria Bella." A cursory search conducted earlier by French authorities found no blood stains or other signs of foul play, police officials have said. The 33-year-old Dele, his girlfriend and the skipper were planning to sail from this South Pacific island to Honolulu. They have not been heard from since July 8. The group set out on May 2 from Auckland, New Zealand, with Dele's older brother accompanying them, said police officials in Tahiti. In Tahiti, Dabord was the only member of the group seen after July 8. That was the day that Dele's girlfriend, Serena Karlan, left a telephone message at her parents' home, saying "all is well," police officials in Tahiti said. They said Dabord returned a rental car on July 6, paying with his brother's credit card. He flew out of Tahiti on July 20, the officials said. Dabord was detained by police in Phoenix on Sept. 5 after he claimed to be Brian Williams and signed receipts with his brother's former name while trying to buy $152,000 in gold. Dabord showed his younger brother's passport as identification, said FBI spokesman Andrew Black. However, he was later released without being formally arrested. Last Thursday, Mexican police found some personal items belonging to Dabord in a hotel room in Tijuana. Dele, a member of the Chicago Bulls' 1997 NBA championship team and then named Brian Williams, but changed his name in 1998 to honor his American Indian ancestry. Dele also played with the Detroit Pistons for two seasons before retiring.